Sydenhams Timber Engineering can supply conventional timber joists that are manufactured from a range of sizes and grades. 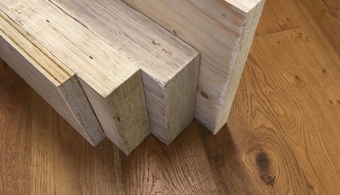 Softwood joists are ideal for smaller projects, such as extensions, small dwellings or where relatively short spans are involved. They can be supplied as a loose for on-site construction or as floor cassettes for hassle free installation. For more information about Conventional / Solid Floor Joists then contact our Timber Centre in Wickham or our Timber Engineering facility in Newport, Isle of Wight.